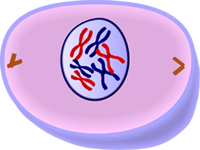 Interphase:Before a dividing cell enters mitosis, it undergoes a period of growth called interphase: Some 90 percent of a cell's time in the normal cellular cycle may be spent in interphase. Prophase: the chromatin condenses into discrete chromosomes. The nuclear envelope breaks down and spindles form at opposite poles of the cell. Prophase (versus interphase) is the first true step of the mitotic process. 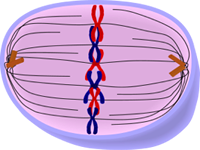 Metaphase: In metaphase, the spindle fully develops and the chromosomes align at the metaphase plate (a plane that is equally distant from the two spindle poles). 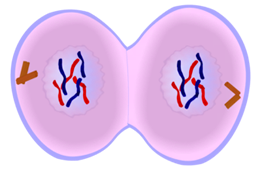 Anaphase: In anaphase, the paired chromosomes (sister chromatids) separate and begin moving to opposite ends (poles) of the cell. 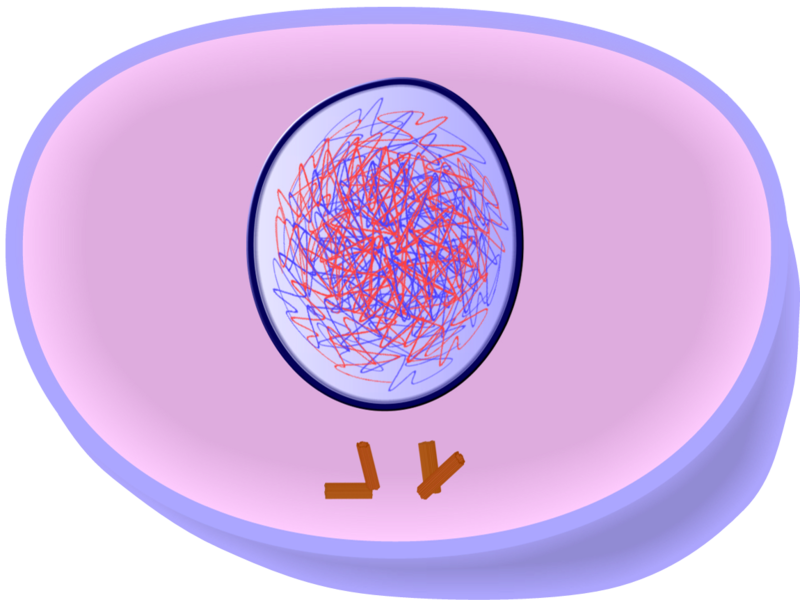 Spindle fibers not connected to chromatids lengthen and elongate the cell. At the end of anaphase, each pole contains a complete compilation of chromosomes. 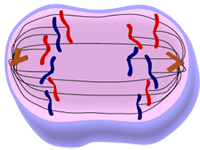 Telophase: In telophase, the chromosomes are cordoned off into distinct new nuclei in the emerging daughter cells.